Snowing and freezing cold? There's no better time to go out! 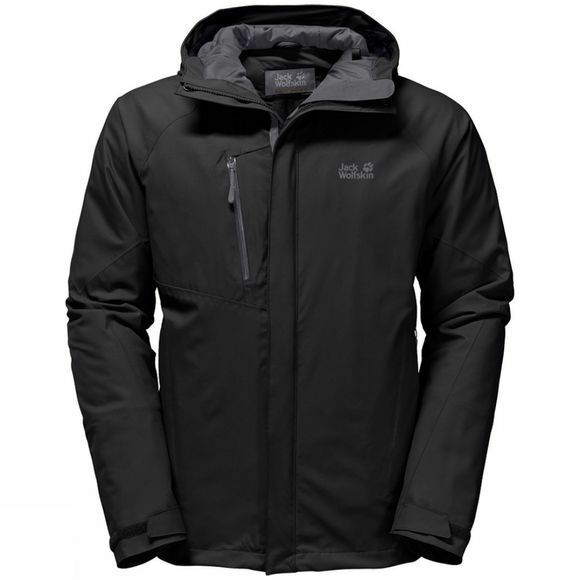 With the Mens Troposphere Jacket from Jack Wolfskin, the weather and temperature are irrelevant. That's because this waterproof and windproof jacket features a clever mix of hydrophobic down and synthetic fibres. This insulating fill isn't just very warm, it's also ultra light and moisture-insensitive. And the extra breathable fabric makes this a great jacket for more ambitious adventures. When you're pushing your limits, you'll naturally get a bit warm, so It is equipped with venting pit zips.